After a succesful trial period last year with pasture raised chickens for meat and eggs, we will be offering both chicken and eggs again for this year. 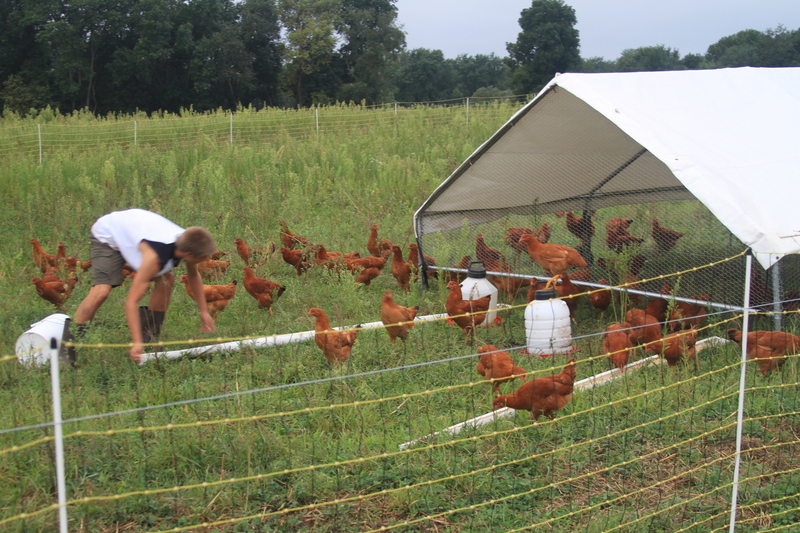 Click here for more information on how to order for the upcoming season and for more detailed information about our pastured poultry operations. The USDA has just adjusted the official nutritional information about eggs after testing a random sampling of eggs throughout the country. The last time they did this was in 2002. Present-day eggs average 14% less cholesterol and 64% more vitamin D than previously measured. Everything else is about the same. Nutrition labeling on eggs will soon reflect these new data. According the American Egg Board, “Some researchers believe the natural decrease in the cholesterol level of eggs could be related to the improvements farmers have made to the hens’ feed.” Well, duh! And what would happen if we let hens eat living plants and bugs out in the sun?